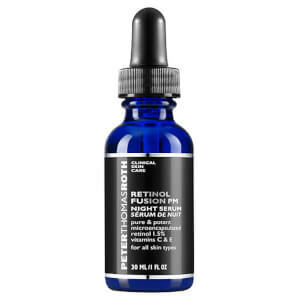 Prevents against free radical damage and premature aging to smooth lines & wrinkles, firm skin and improve clarity. After cleansing, dispense 4 to 5 drops with moisturizer into the palm of your hand. Mix well. Or can be applied alone directly to the face before moisturizer or makeup. Apply evenly to face. Use AM & PM. WATER (AQUA), 3-0-ETHYL ASCORBIC ACID, BUTYLENE GLYCOL, GLYCERIN, ASCORBYL METHYLSILANOL PECTINATE, XANTHAN GUM, DISODIUM EDTA, DIPOTASSIUM PHOSPHATE, PENTASODIUM PENTETATE, TERMINALIA FERDINANDIANA FRUIT EXTRACT, SODIUM PHYTATE, PPG-26-BUTETH-26, PHENOXYETHANOL, CHLORPHENESIN, CITRIC ACID, PEG-40 HYDROGENATED CASTOR OIL, ETHYLHEXYLGLYCERIN, METHYLPROPANEDIOL.